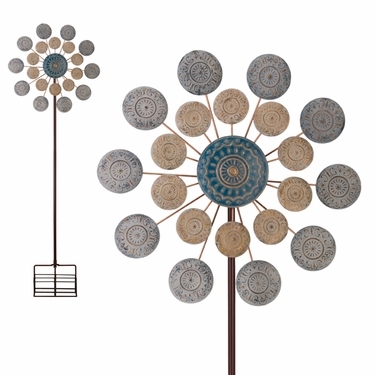 Bring fun, color and excitement to gardens with our new 26" Blue Medallion Wind Spinner kinetic stake. Handcrafted designs feature two sets of blades that spin in opposite directions and dazzle as they spin. Size: 26" x 7.5" x 76"H, 7.5 lbs. Watch our New Double Spinner in Action!